In a series of tests on Ben & Jerry’s ice cream varieties sold throughout the UK and EU, worrying levels of glyphosate have been found. The European Parliament today hosted a coalition of EU and US organizations, led by the US-based Organic Consumers Association (OCA), which announced that samples of Unilever-owned Ben & Jerry’s ice cream from France, Netherlands, Germany and the UK contained worrying levels of glyphosate, the primary ingredient in Monsanto’s Roundup herbicide. 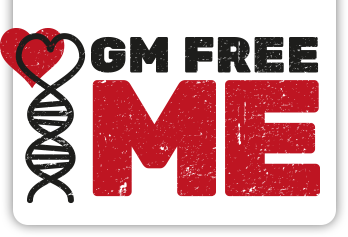 UK group Beyond GM (a sister campaign to GM Free Me) worked with the OCA to supply the UK samples, which were bought from major supermarkets in Northwest London and shipped to the US for analysis. Glyphosate was detected in 13 of the 14 samples of Ben and Jerry’s ice cream at levels that raise health concerns (as high as 1.228 ng/mL), according to HRI Labs, which conducted the tests. Flavors tested included: Half-Baked, Cookie Dough, Peanut Butter Cup (NL); Chocolate Fudge, Cookie Dough (FR); Half-Baked, Peanut Butter Cup, Chocolate Fudge (UK): and Cookie Dough, Toppea, Peanut Butter Cup, Karamel Sutra, Home Sweet Honey Comb and Cinnamon Buns (DE). The levels found, while within EU ‘safe’ limits were nevertheless in line with those shown to cause liver disease in laboratory animals (see the EU relevancy statement). Speaking at today’s press conference were: Bart Staes (Flemish Greens) Member of the European Parliament for the Greens/EFA group; Gilles-Eric Séralini, Ph.D., professor, University of Caen, and author of numerous scientific studies exposing the health risks of glyphosate; Dr. John Fagan, chief scientist, HRI Labs; Pat Thomas, Founder/Director Beyond GM UK; and Katherine Paul, associate director, OCA. About 150 organizations and businesses worldwide have signed the OCA’s letter to Ben & Jerry’s, asking the company to go organic. In addition to the OCA and Beyond GM groups supporting this call, include Sustainable Pulse (Bulgaria); the Monsanto Tribunal (NL); and the Soil Association (UK). Bart Staes said that the discovery of residues in Ben &Jerry’s ice cream was “further proof of our dysfunctional” food chain and noted that this is nto the first time that glyphosate has been found in EU food; traces of glyphosate had previously been found in several beers last year. 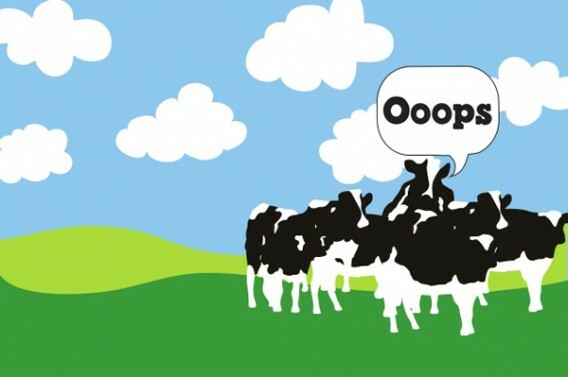 Ben & Jerry’s responded to the test results by saying it will introduce a new organic line next year (in the US) and will aim to be glyphosate-free in the US by 2020. However, the move to organic is only for the dairy base mix for Ben & Jerry’s ice cream and not the cereal ingredients which are the most likely source of the glyphosate. For an in-depth analysis of the findings in an UK/EU context see the Beyond GM article: Peace, love and (glyphosate in your) ice cream.